Blue Wave Merchant Solutions offers Merchants multiple ways to process electronic check transactions. From True ACH, Echeck, Check 21 to Check By Phone. Blue Wave Merchant Solutions provides state of the art payment gateways for all of your check processing needs. Increase customer satisfaction and loyalty – everyone’s looking for more options and greater convenience, and offering ACH processing is a great way to keep your customers coming back for more. Save big – ACH/eCheck / Check By Phone payments are significantly less expensive than credit card payments. Electronic check processing will improve cash flow – less time running to the bank means more time running your business and doing what you do best. Maximize your customer lifespan – customers with a recurring ACH/eCheck payment are far less likely to cancel their services. Since they don’t write a check or make a payment each month, recurring customers aren’t reminded of the expense and tend to continue making payments indefinitely. Want to try ACH payments with no commitment and a low monthly fee? Contact us directly! Interested in accepting check by phone? Here’s a look into how…. If you are a high-risk business then Check by Phone is one of the best systems for instantly accepting checks online, by phone, or by fax. It includes a secure online form for your customers to complete. You are instantly notified of new checks via email, and no re-keying of data is required. Your checks are created in ready to print PDF format. This system is much faster and less expensive than ACH or EFT check transfers! Check by Phone is NOT an ACH (Automated Clearing House) or EFT (Electronic Funds Transfer) system. In fact, our check by phone is faster, much less expensive and puts you in direct control of your incoming Deposits. In essence, our check by phone program is simple, yet very full featured. Your customer enters their check information through a simple-to-use secure online form. The system produces an instant, printable receipt for them that resemble their check. A confirmation Email is instantly sent to the customer. A new check notification message is instantly sent to you the merchant. You login into the secure check by phone system. Your new checks are listed and ready to print in PDF format. You print the check and deposit it into your checking account just as you would had it arrived in the mail. For Checks by Phone or Checks by FAX, we provide you with a special version of the secure online check form that does not require the customer’s Email address. Therefore, a receipt confirmation message is not sent to them. If you have the customer’s Email address and wish them to receive the confirmation message, you can just use the standard online check form. With ACH or EFT transactions, they are not processed until approximately midnight of each business day and it can take up to 5 business days for the transfer to actually be deposited into your checking account. Most ACH or EFT systems charge you a monthly gateway fee in addition to the transaction rate as well. ACH/Echeck is a payment method that allows merchant to admit electronic check payments for items purchased via various methods available in ecommerce sites. In addition, it enables merchants to accept paper checks and transform them to electronic checks. It works almost like a regular check, but as an alternative of using the paper one to make payments, the client offers the merchant with the essential details via other platforms, enabling the merchant to process the info electronically. The Echeck service is enabled by an Automated Clearing House Network abbreviated as ACH to process money transfers from client bank account to the merchants account. Why use Echeck/ACH Merchant Accounts as a method of payment? The key advantage of using this method is its ability to charge lower fees and rates even compared to most credit cards or PayPal. Most importantly, it’s very efficient as everything is carried out online thus eliminating inconveniences and costs of manually using paper checks. Echeck is a fully integrated solution therefore no third party is required in implementing it. This makes it even easier for those merchant who are using payment gateway. Also, this method is very safe. Merchants have no reason to worry about payment for their goods. However, as a merchant, how will you process the Echeck payments? A legitimate processor can help you. Find a legitimate Echeck processor who can help you to electronically debit a payment directly from your customer account to your bank. It’s an amazing way to advance your bottom line. How? The more options you give to clients in terms of making payments, the more satisfied they will be, hence increasing your sales. Furthermore, your profit margin can increase, since the processing rate of ACH is much lower than that of credit cards. Reduces the disturbances of using paper checks such as lengthy funding times, returned check fees, trips to the bank and much more. Decreased cost of sale. Payments by ACH are always priced at lower rates no matter the sale size. Customer lifespan can be increased due to limited hassles. Enables you to manage your payments and customers online with fewer processes. Check 21 and ACH payment processing are the fastest growing forms of payment today! Merchants are realizing the benefits associated with echeck payments; lower costs, more account stability and a reduction in transaction disputes. High Risk Ach is a leader in the ACH processing industry. The ACH payment industry has seen double digit transaction increases in each of the last three years. The benefits are overwhelming for merchants to start offering this payment method in addition to their current payment options. Key benefits associated with our ACH/ check 21 accounts include low costs. ACH processing rates are usually 40-60% less than regular card processing costs with more favorable terms to the merchant. Other advantages of ACH/e check include the stability of the account. High risk merchants know how unstable merchant accounts can be. ACH accounts are given a 20% window for chargebacks, disputes and NSF transactions. 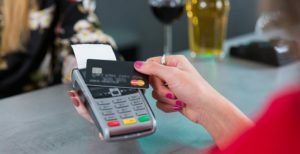 Credit/debit card processing accounts require that transactions dispute stay under 2-3%. ACH accounts are never closed unless there is fraud associated with the account. One of the most significant rewards that merchants experience with ACH is the increased protection associated with the chargeback process. For customers to dispute the merchant’s charge they must go into their bank and sign. The time frame is also much shorter than regular credit card chargebacks. This will virtually eliminate all frivolous chargebacks. Applying is easy. Find out why we have a 95% approval rate. Find out why we have a 95% approval rate. Are you currently accepting credit cards? Your information is safe, We take your privacy seriously. Blue Wave Merchant Solutions offers you the easiest, fastest, and most painless way to set-up your High-Risk Merchant Account with the best possible rate, no matter who you are or what your business is.